Take rice into a bowl and add water. Wash the rice well and add measured water and soak for 30 minutes. Add water as per the requirement of rice used. To grow fenugreek leaves is very easy. Take soil in a broad and flat bowl with holes. Sprinkle some fenugreek seeds and cover loosely with soil. Sprinkle water daily. After 10 to 15 days we get fresh fenugreek leaves. Cut the roots and use the fenugreek leaves with stems. Take a basin and add water. Add fenugreek leaves in the water and wash well. Wash changing the water two to three times till all dirt is cleared. Chop the fenugreek leaves and keep them aside. After 30 minutes separate water from the soaked rice. Heat a pressure cooker and add oil to it. When oil is hot add cumin seeds and chopped green chilies. 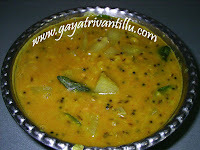 Fry for few seconds and add the chopped fenugreek leaves. Fry well till water evaporates. Then add chopped tomato, turmeric powder, red chili powder and coriander powder. Mix all and fry well. Then add soaked and drained rice and mix gently. Stir gently taking care not to break the soaked rice grains. Add water which has been drained from soaked rice. Add salt and mix well. at this point if required check the seasonings and adjust according to taste. Cover the pressure cooker and cook. After first whistle, cook on low flame for 7 minutes and switch off the flame. When the pressure cooker cools down, remove the lid and fluff the rice using a fork. Fluffing with a fork will not break the cooked rice grains. 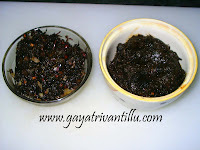 Transfer to a serving plate and serve hot with cucumber raita or onion raita or any raita of your choice. Take water for cooking rice as per the requirement of rice used. For ordinary rice I use twice the amount of water (1:2---Rice: Water). But here I have used basmati rice for which I use only 1 1/4Cup (1: 11/4---Rice: Water). Growing fenugreek leaves at home is very easy and doesn’t require much time. Fresh & tender fenugreek leaves taste better. Tomato is used to reduce the bitterness of fenugreek leaves. Amchur (Dry Mango Powder) is a good substitute to tomato. Though we have not used any spices to make this pulao, the flavor of the fenugreek leaves gives a special taste to the dish. remove bitterness salt is added to chopped leaves and kept aside for few minutes & then squeeze the leaves to remove bitterness and salt. This way all the vitamins will go away. The aroma of the pulao fills the space while getting cooked in pressure cooker. Serve with raita of your choice to all your family members.